Dr. Chauhan’s medical education began in India, where she completed her MBBS at SP Medical College in 1998 as the top student for three years. 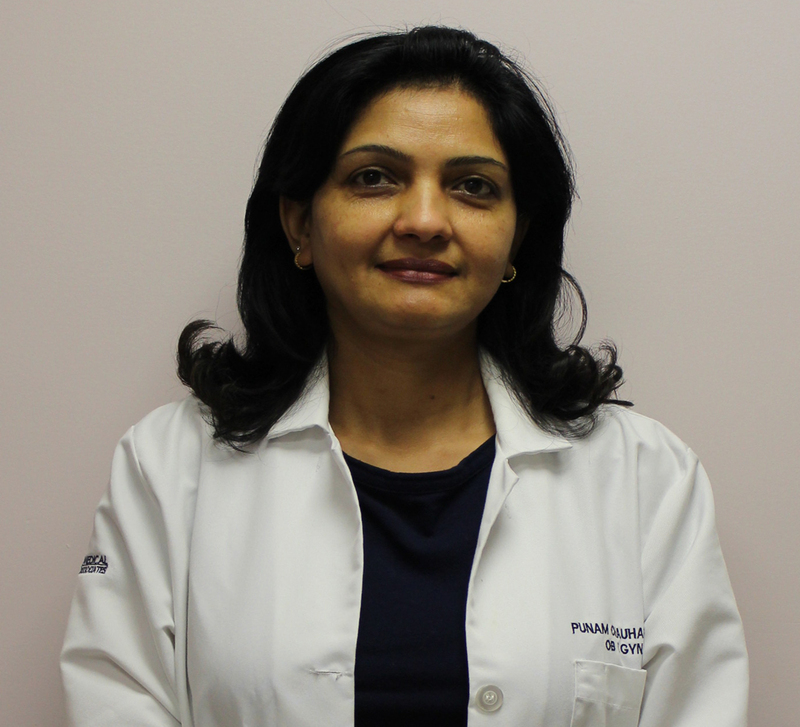 During the three years she was employed as a field worker helping to immunize children from polio and organize blood drives, Dr. Chauhan also completed her residency in Obstetrics and Gynecology at SN Medical College in Agra, India in 2004. Following residency, she moved to the United Kingdom and was employed by both Queen Elizabeth Hospital and Queen Mary Hospital as a Senior House Officer. She is registered with the United Kingdom’s General Medical Council. After coming to the United States Dr. Chauhan completed another residency program in Obstetrics and Gynecology in 2010 at Flushing Hospital Medical Center, where she received an award in her second year as the best teaching resident. Following residency, she joined Blair Medical Center and then Hamilton Health Center in Pennsylvania as an OBGYN physician, and received Board Certification status.